Scents take us back to places we have been, people we have loved and precious moments we have shared. They give us comfort when we feel lost, power when we lack strength and can balance our mind and body. Since the beginning of time, we have used the healing powers of aromatherapy to gently heal and create a greater sense of well-being. According to Chinese culture, Chi is the vital energy that governs the Universe we live in. What’s more, everything within our Universe can be allocated to one of five elements – water, wood, fire, earth and metal – that in their own right, live in a constant archaic continuum of becoming and unbecoming. Chi flows around the body through invisible channels called meridians. If Chi flows freely, the body enjoys health and balance. When the energy is blocked or stagnant, the corresponding meridian becomes weak and causes ill health. For centuries, the Chinese have believed that not only are the five elements found in our environment, but also within ourselves. Moreover, the traits of each element may be allocated to the physical body, the emotional body, our senses, space and time. Each individual is born with an element that dominates his or her life and dictates character, relationships, life choices and health. If this self-element suffers from an I’m-balance, so do we! We become uncomfortable, stressed and lack the inner harmony needed to cope with every day challenges. 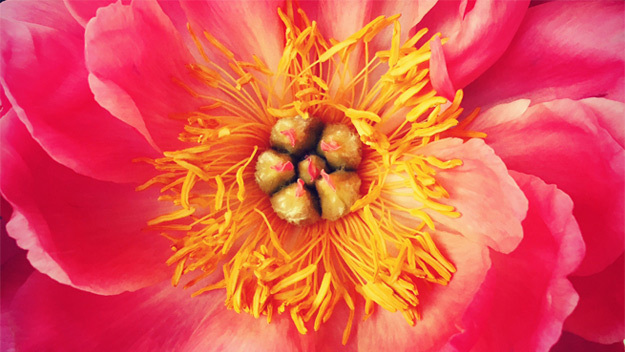 As a Feng Shui Consultant and BaZi Master Deana is constantly creating new ways to help her clients achieve inner harmony, balance and a greater sense of well-being has always been at the center of her purpose. Our sense of smell is the strongest – and most neglected – of our five senses as it is directly linked to the limbic system. At Essence of Chi, we believe that a perfume can be so much more than just an accessory. Deana studied and researched for five years to create beautiful perfumes that harness the power of nature’s elements in innovative olfactory creations that awaken the senses and provide a sense of well-being. Essence of Chi Bespoke is the world’s first bespoke perfume that is created for you according to your Chinese Horoscope. After years of research and development, Deana created olfactory formulas that represented each element in its purest form in a state of perfect balance between Yin and Yang. In 2012, Deana began creating exclusive bespoke essences for her Feng Shui clients all over the globe, adding one more dimension to the services she offers. Once your horoscope analysis is completed and the exclusive elemental formula for your essence has been established, your perfume will be created for you in Grasse. Each Bespoke Essence is certified, contains the highest concentration of the finest, sustainably produced essential oils available and is preserved in a beautifully hand-crafted and numbered bottle that you will hopefully cherish for years to come. Scent marketing has been a means of attracting customers for a number of years now. Unfortunately, however, the scent creations used are mostly synthetic and ultimately pose a health risk to both employees and clients. If you are looking for a way to stand out from the crowd, we have the answer! At Essence of Chi, we take our clients’ well-being very seriously. We are also proud to claim, that we are the first company that creates bespoke fragrances for our clients that are based on the Feng Shui of their corporate offices, their history, their mission, their vision and their Leader’s chi. As in a Feng Shui consultation, the needs of each business are taken into consideration when creating a corporate scent. After conducting our Feng Shui and BaZi audit, Deana will create three sample Essences for you to choose from. From the scent you choose, we can create amenities for hotels and/or spas, corporate scents for diffusion, as candles, or as part of your air systems. The application for your scent is unlimited. Each Essence of Chi Bespoke is created in Grasse, France and undergoes the strictest toxicology testing and certification process. The Essence that we create for your company is YOURS. It will never be replicated in any way, shape or form for anyone else. Even if/or when decide you want to change or discontinue production. 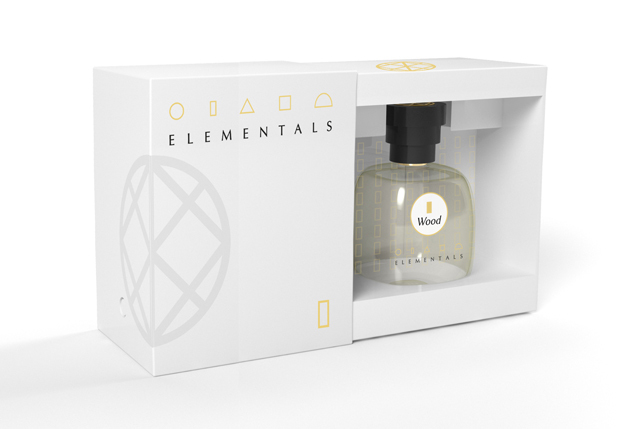 The ELEMENTALS are a unique fragrance experience of fine perfumes combined with ancient wisdom that touch the soul, creating an instant sense of well-being. Scents take us back to places we have been, people we have loved and precious moments we have shared. They give us comfort when we feel lost, power when we lack strength and can balance our mind and body. Since the beginning of time, we have used the healing powers of aromatherapy to gently heal and create a greater sense of wellbeing. The Theory of Five Elements – water, wood, fire, earth and metal – is fundamental to Traditional Chinese Medicine as well as to Feng Shui and BaZi. Each direction of the compass is represented by an element, as each organ in the human body and the emotions that are connected to that organ. What’s more, each individual is born with an element that governs his/her life. Essence of Chi ELEMENTALS combine the world of Haute Perfumery with the ancient Theory of Five Elements and Aromatherapy. Each Elemental takes into consideration, the balance of Yin and Yang as well as the celestial, physical and emotional attributes of each element. Using only the finest rare woods, florals, herbs and spices to create an exquisite perfume that evokes a physical reaction and envelopes the individual in an immediate sense of well-being. Each ELEMENTAL is hand crafted in Grasse, France, and contains up to 25% natural essential oils that have been blended with organic beet root alcohol, keeping chemistry to a minimum in order to deliver a product that is sustainable, superior and to ensure that the energy of each ELEMENTAL is as pure as possible. Each bottle is hand labeled, filled and packaged with LOVE!